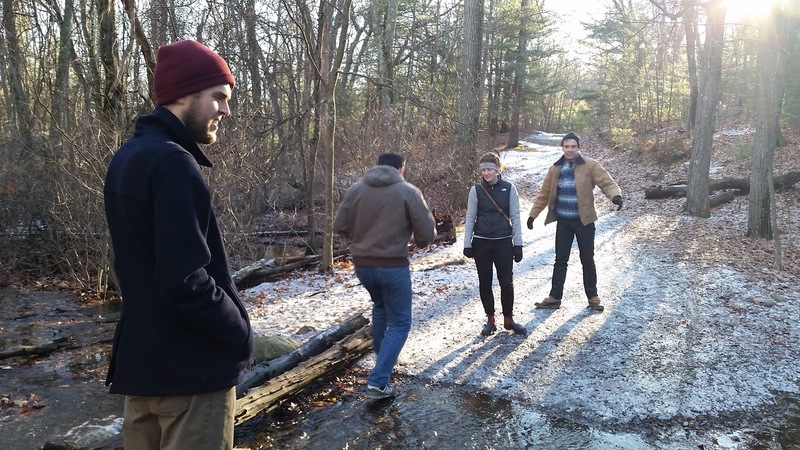 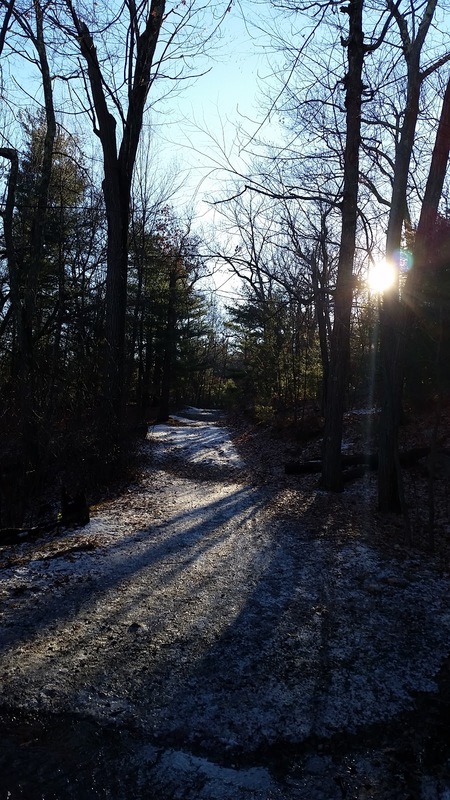 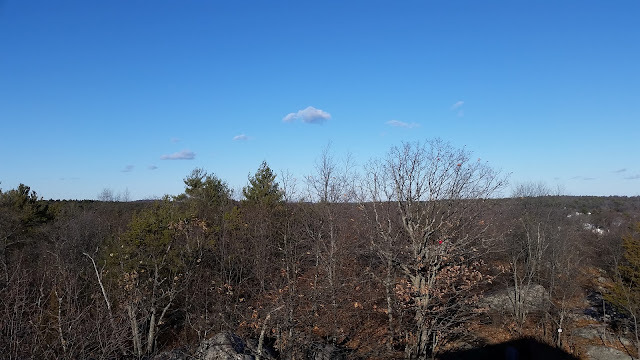 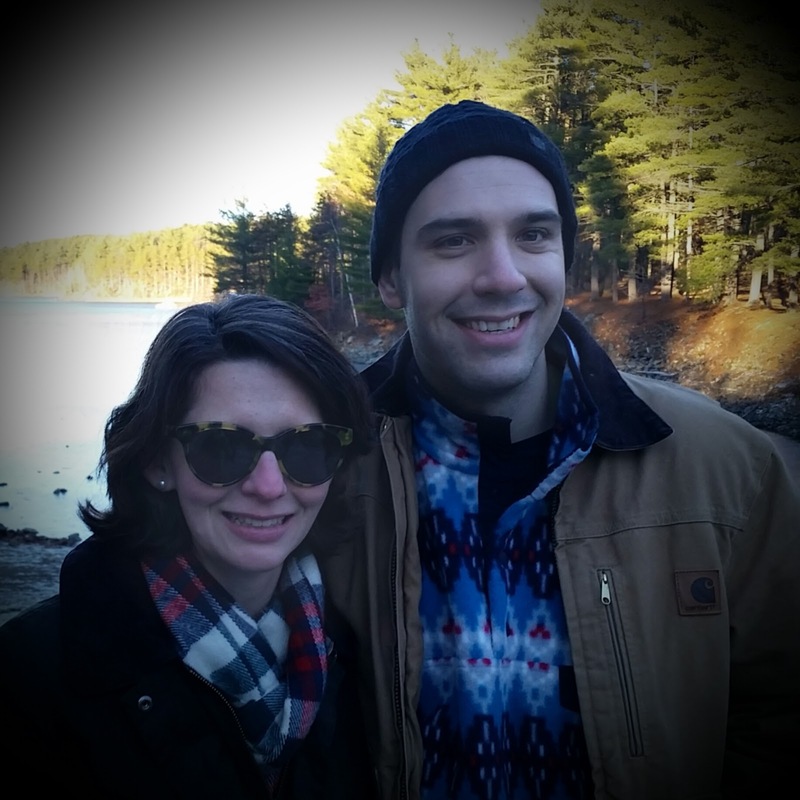 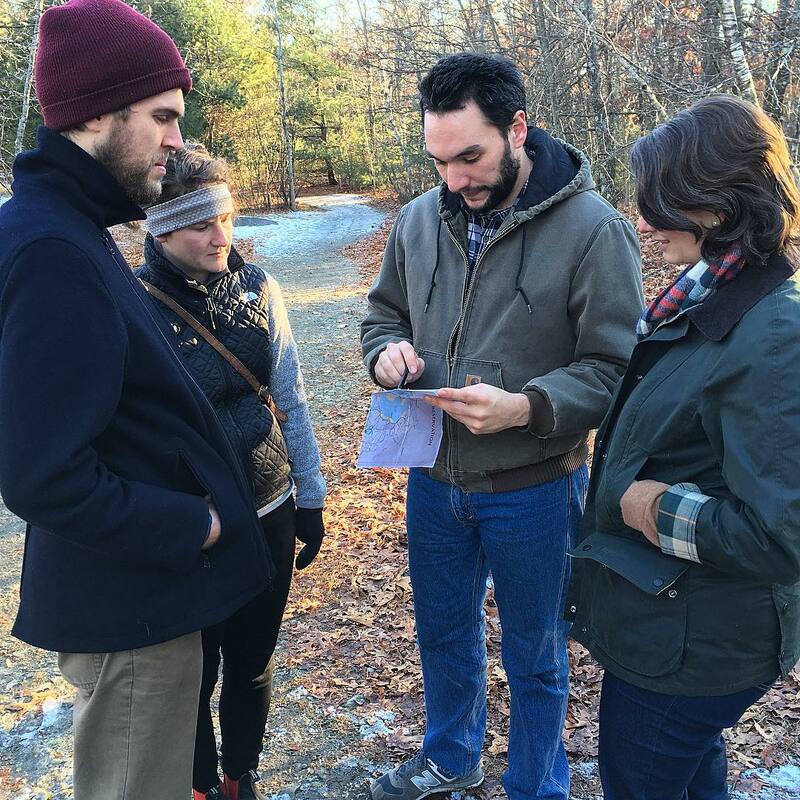 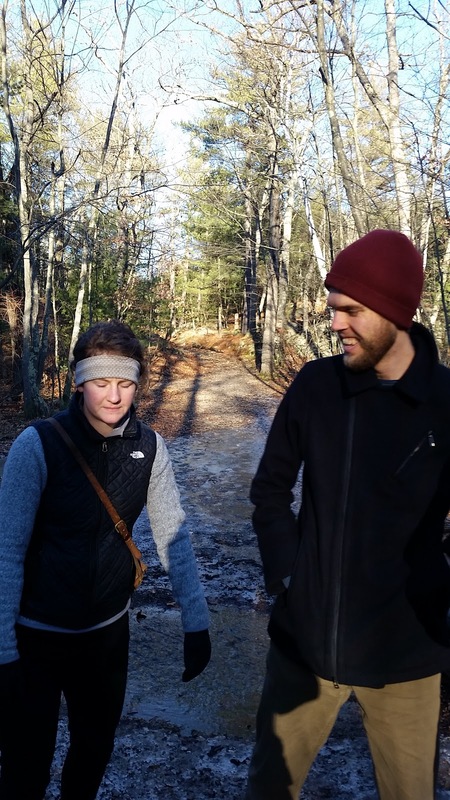 After enjoying the requisite collards and black-eyed peas on New Year's morning, Roger, Dave, Emily, James, and I headed to the Middlesex Fells Reservation for a first day hike. 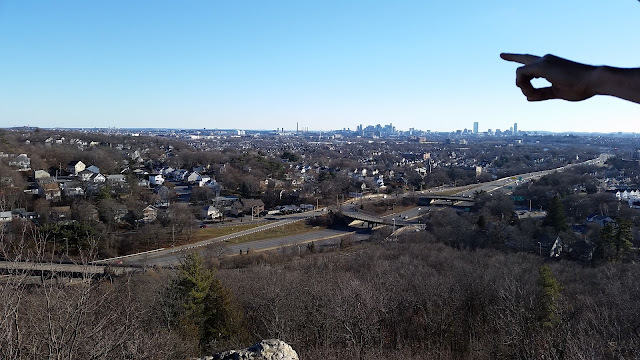 We were all a little hungover (me worst of all, maybe), so we took it nice and easy, and just wandered around the park a bit, making our way up the tower there for some great views. 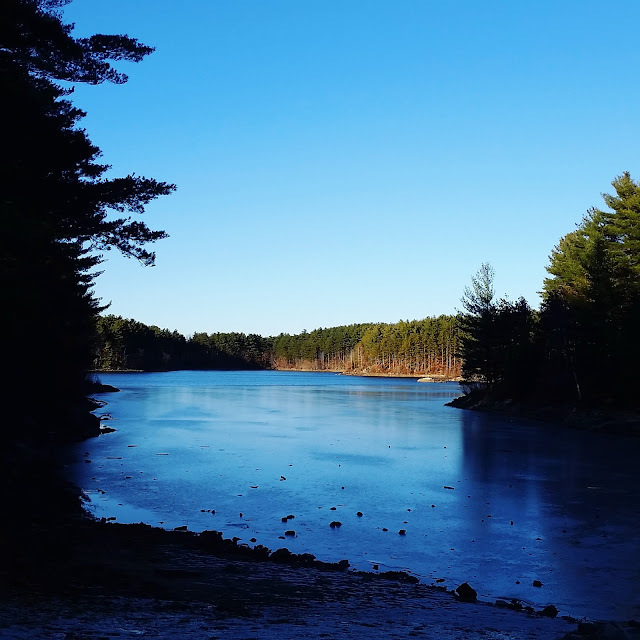 Just five miles north of Boston, this is a great spot for some outdoor time not too far from the city. There were plenty of people there (we had to park on a side street off from the park because the lot was full), but it never felt crowded, and there are plenty of different trails to explore. It was a great way to start 2017, which I'm hoping will bring us lots more hiking with friends!